The all-new 2019 Jeep Scrambler has been spied testing off the road. 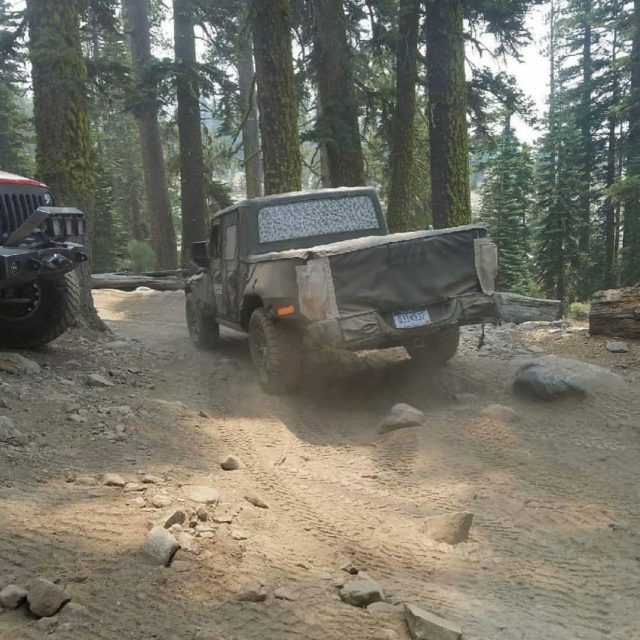 The prototype, however, wasn’t caught on any trail but on the Rubicon trail. 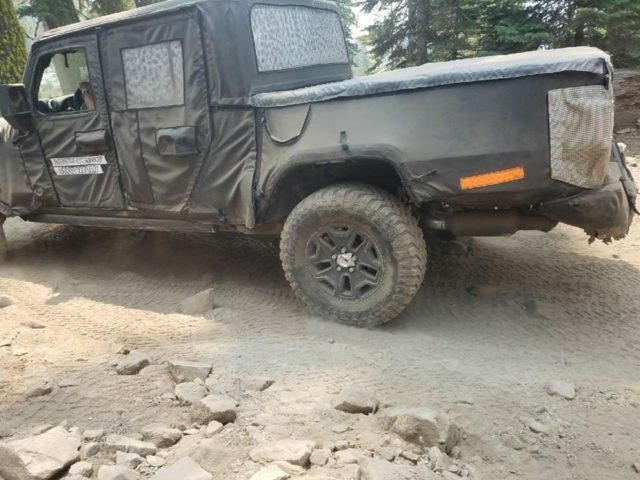 According to the photographers, the Wrangler-based pickup truck passed the test without any problems, though , we noticed some damages in the rear end which means that the test didn’t go as smooth as it appears on the first glance. The camouflaged Scrambler doesn’t reveal much. Moreover, the dirt makes our job of finding the design details is even harder, so we can’t really figure out the actual details. 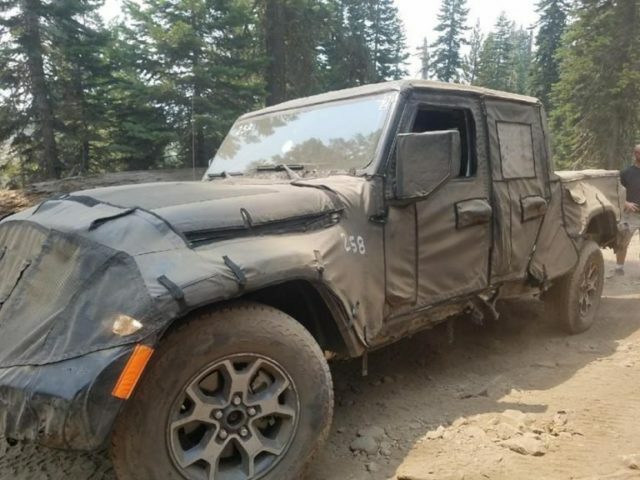 Still, regardless of the dirt and camo it’s pretty clear that the 2019 Jeep Scrambler shares a lot with the new Wrangler. The pickup truck will feature an identical front end as the iconic SUV. The cab is, on the other hand, different, while the prototype also shows a unique custom hard top. The biggest difference is in the rear of course. The Scrambler gets the bed and a totally new bumper, as well as a spare tire underneath the bed. The carmaker has not revealed anything regarding the truck’s powertrain lineup, yet we think we know what’s cooking under the hood. The 2019 Scrambler will arrive with three engine options in the United States. The base model will be matched with a 3.6-liter V6 that develops 285 hp and 260 pound-feet of torque. 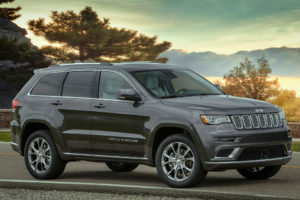 Jeep will not miss the opportunity to offer a new 2.0-liter turbo mill that develops 270 horsepower and 295 lb-ft of twist, as well as a single oil-chugging option which will definitely be the amazing 3.0-liter EcoDiesel V6. The oil-burner will probably pump-out 260 horsepower and 442 pound-feet of grunt. 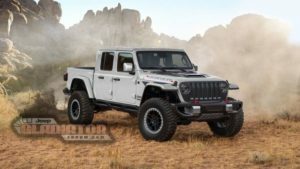 Since it’s going to compete in the mid-size pickup truck segment, the 2019 Jeep Scrambler will face stiff rivals like Toyota Tacoma, Chevrolet Colorado, GMC Canyon, Ford Ranger, Honda Ridgeline, and Nissan Frontier. Still, since we are talking about the Wrangler-based pickup, neither of them is going to be capable to match the truck’s off-road capability. Meaning, the Scrambler will create its own segment instead. According to the newest reports, the 2019 Jeep Scrambler will reach the production lines this fall. Still, the truck will not become available in dealerships before next spring.